"Cinema where it's not expected". This definition of our event, coined by a reporter, may well find confirmation in our 2017 edition. When most films are conceived through the prism of TV series, it's salutary (reassuring ?) to see some filmmakers still seeking out new paths. A feeling shared by the various chapels joining us this year, to further amplify this vibration. 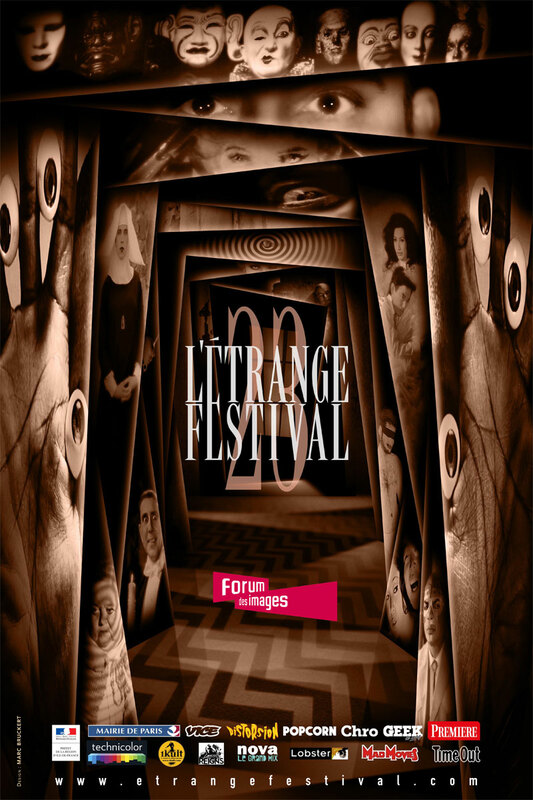 Foremost among them, le Festival Internacional de Cinema Fantàstic de Catalunya, the oldest international event dedicated to the cinematographies we defend, is l'Etrange Festival's guest, celebrating their 50th anniversary with over-vitamined Catalan programmations. A flagship of good taste and a champion of marginal cultures, Mauvais Genres, the best French radio show, has reached its 20th year and is in great shape. A perfect opportunity to offer Master Angelier and his partners the freedom of a naturally offbeat programming. The new generation isn't left out, with BiTS, today's most pertinent webshow, who'll join us for an ubergeek evening filled with surprises! Worshipped all over the planet, Jaume Balagueró and Álex de la Iglesia, the strongest ambassadors of new spanish genre movies, pay us a visit. The first with an impeccable Carte blanche, and the second for a Focus coinciding with the release of his new film, a perfect counterpoint to an increasingly sclerotic cinema. On the occasion of a very beautiful retrospective exhibition at La Halle Saint Pierre, Marc Caro and Jean-Pierre Jeunet, French cinema's famous turbulent duo, are finally reunited and have cooked us up a four handed Carte Blanche. One of Belgian's cinema's best kept secrets, producer and director Boris Szulzinger, honors us by his rare presence for a Focus aimed at rediscovering his main films on the big screen. An edition without any live shows wouldn't be complete. This year, the mystical Tom de Pékin picks up the torch for a powerfully shamanic Performance-Evening. Serge Bromberg and his relentless Retour de Flamme, set very high standards with their splendid restoration in 4K of one Japanese cinema's essential films. Finally the fight is on in the International Competition as no less than 24 films are contending for the Grand Prix Nouveau Genre and the Audience Award. Top this abundant programming with the International Short Film competition and ritual discoveries from all around the world, and the whole may well be this autumn's finest cinematographic proposition. We'd bet on it !